Item # 304568 Stash Points: 2,797 (?) This is the number of points you get in The Zumiez Stash for purchasing this item. Stash points are redeemable for exclusive rewards only available to Zumiez Stash members. To redeem your points check out the rewards catalog on thestash.zumiez.com. 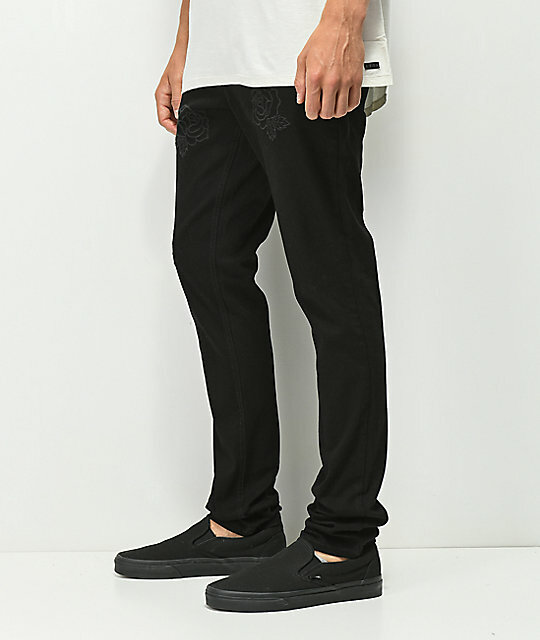 For a classic look with a modern vibe, pick up the Tonal Embroidery Black Jeans from Rustic Dime. 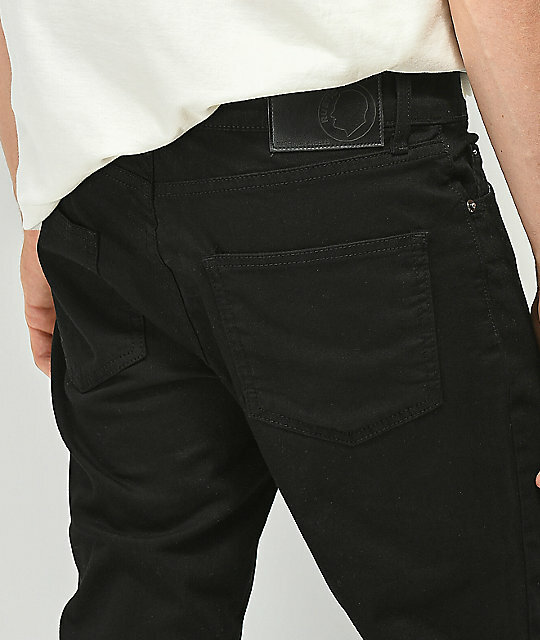 These Taper Fit jeans feature a 5 pocket configuration and are cut from a stretch denim that offers a comfortable, slim fit. 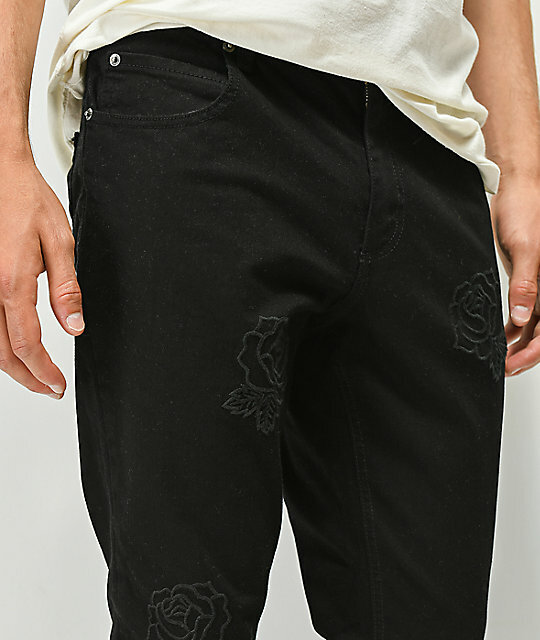 Black roses are embroidered at both thighs for subtle flair. 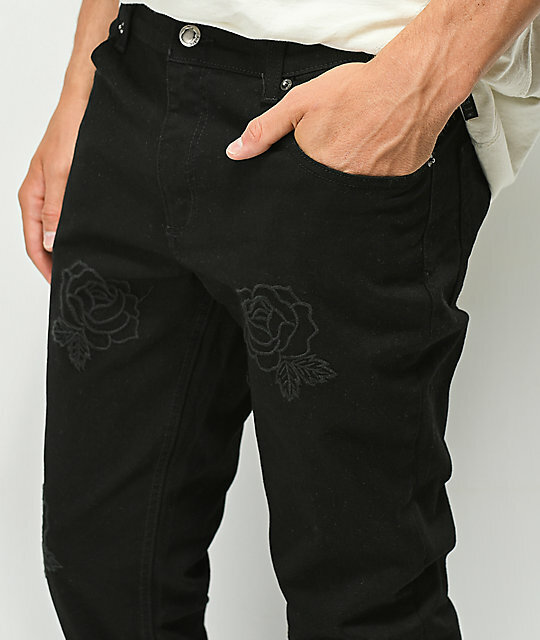 Made in the USA, Rustic Dime's Tonal Embroidery Black Jeans are the perfect bottoms to pair with any streetwear inspired outfit. 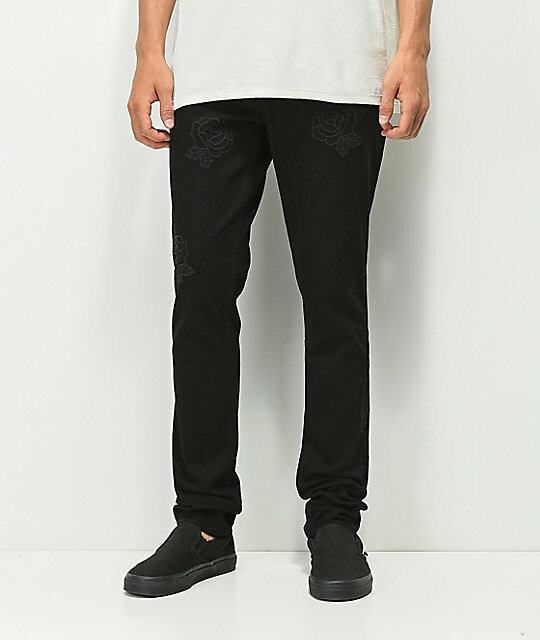 Tonal Embroidery Black Jeans from Rustic Dime. 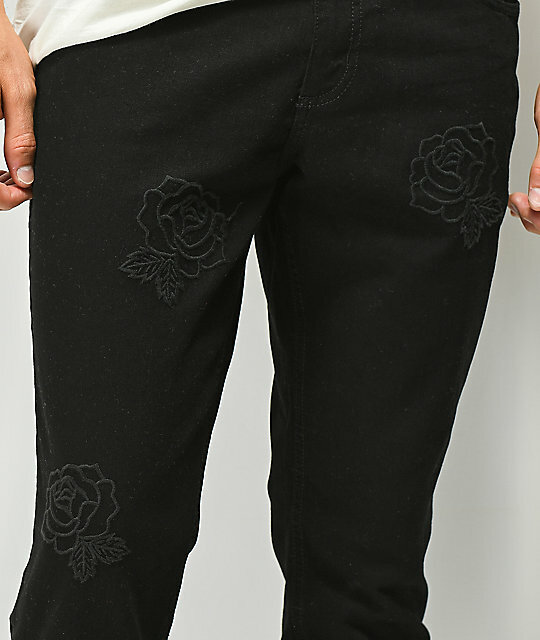 Black monochromatic roses embroidered at left & right thighs. 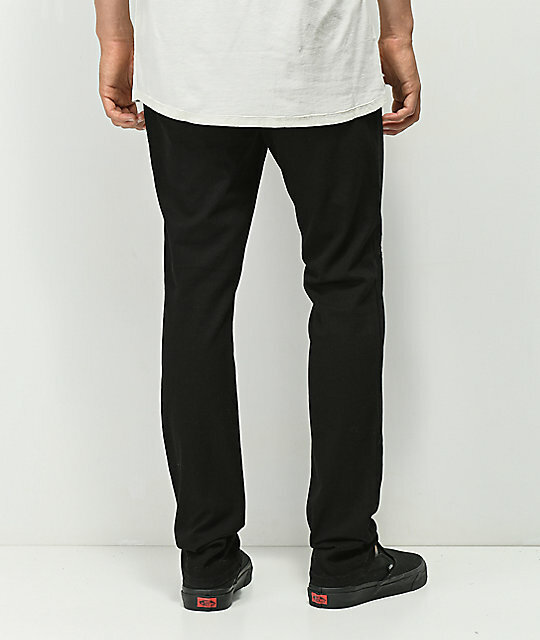 Slim fit, straight leg that sits below waist. Leg Opening: 13" (33 cm).